Experience the premium motorbike that is the new 2019 Bonneville T100 Black motorcycle along the Portland, Oregon highway. 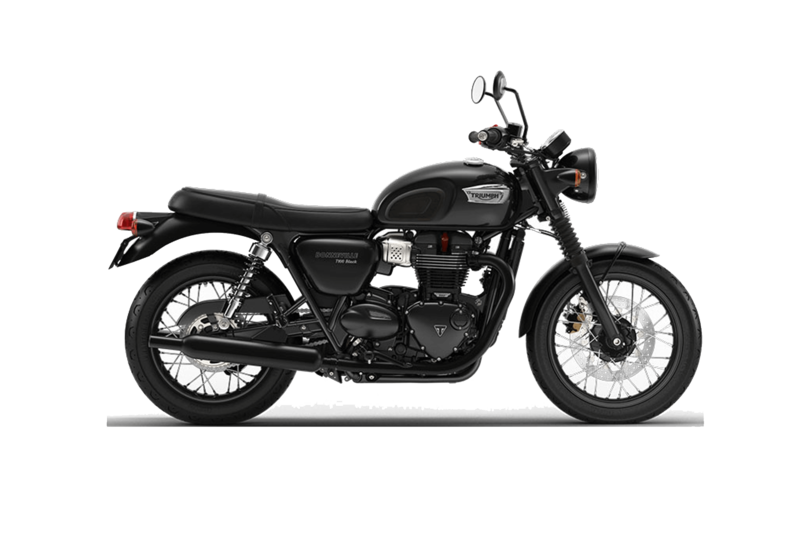 With the new 2019 Bonneville Black, you can experience the sophistication and individuality of the T100 Black at our Latus Motors Triumph dealership in Gladstone, Oregon. From the entirely blacked-out high-quality details of this bike to the robust performance features, drivers from all around the Oregon area are scheduling a test drive with our Latus Motors Triumph team. Get your new T100 Black Bike today before it’s too late. You can also get a head start with the purchasing process by filling out our online credit application thanks to our onsite finance team. When you work with our finance team, you get the advantage of working with a highly trained group that works with your monthly budget, not against it. If you would like to see more of the new 2019 Bonneville T100 Black, visit with our Latus Motors Triumph team today. Let us help you take you to grab adventure by the handlebars. We can’t wait to meet with you.